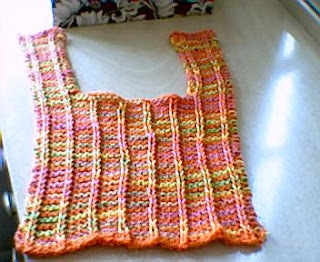 Here's a baby bib made from the yarn left over from that orange dish cloth. I just need to put a button on the left-hand strap, and it's done. If I do say so myself, it's too cute!